THE COMPLETE PACKAGE! MAKE AN OFFER! 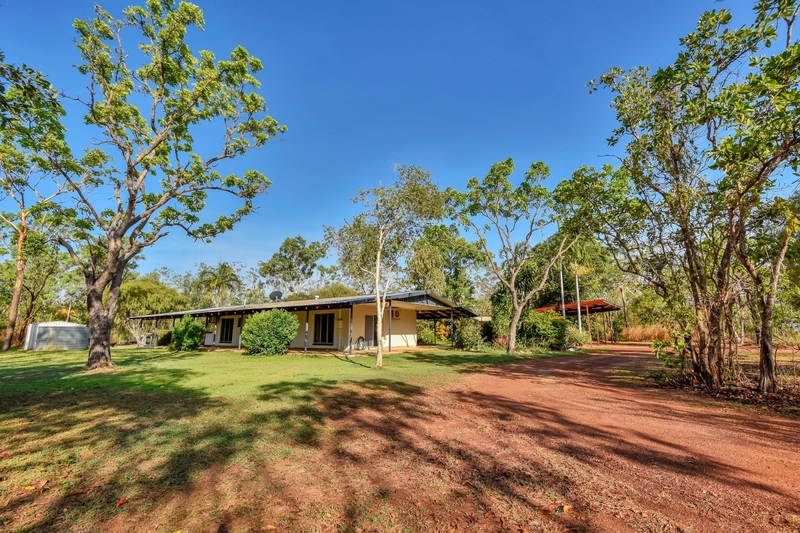 All About Real Estate is please to present this lovely rural home located in a tranquil bush setting, this gorgeous family home is the complete package – it has lifestyle in spades, space to burn, a shed and horse stables as well as gorgeous tropical garden surrounds and it is move in ready. 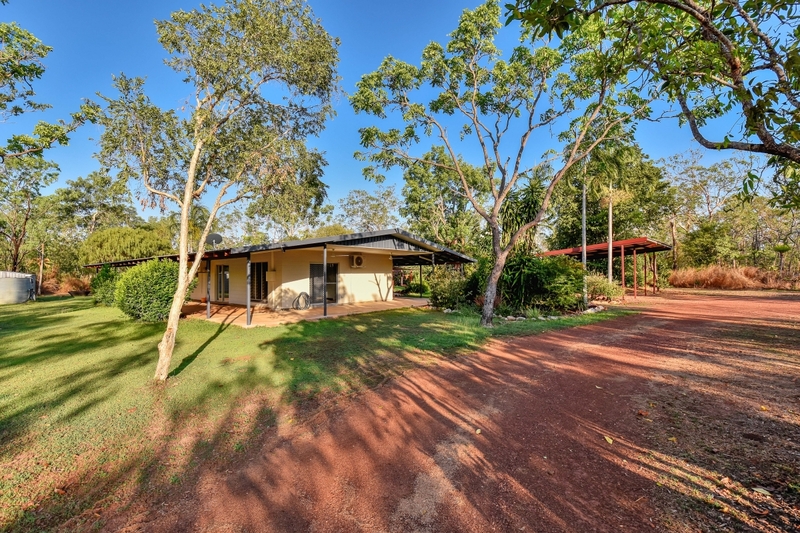 The home is set well back from the road to maintain privacy and there is gated entry as well. 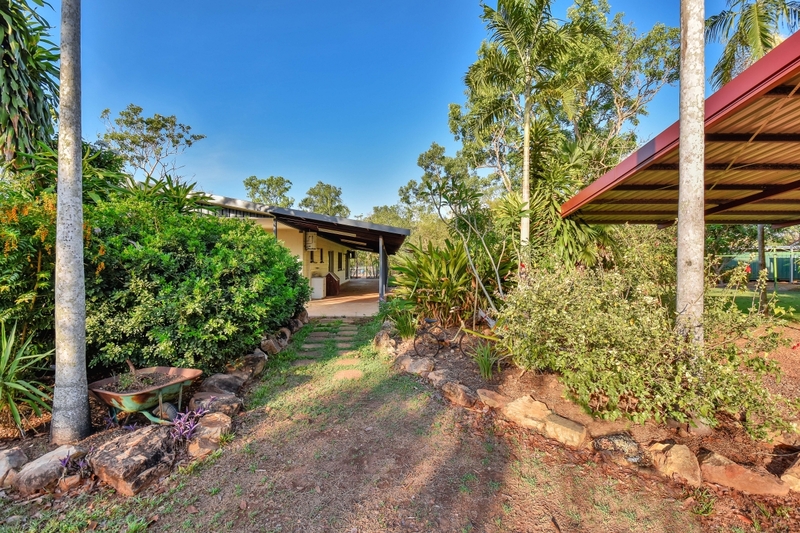 At the front of the home are tropical gardens that further screen for privacy and wrap around verandahs on all sides to shelter the home. 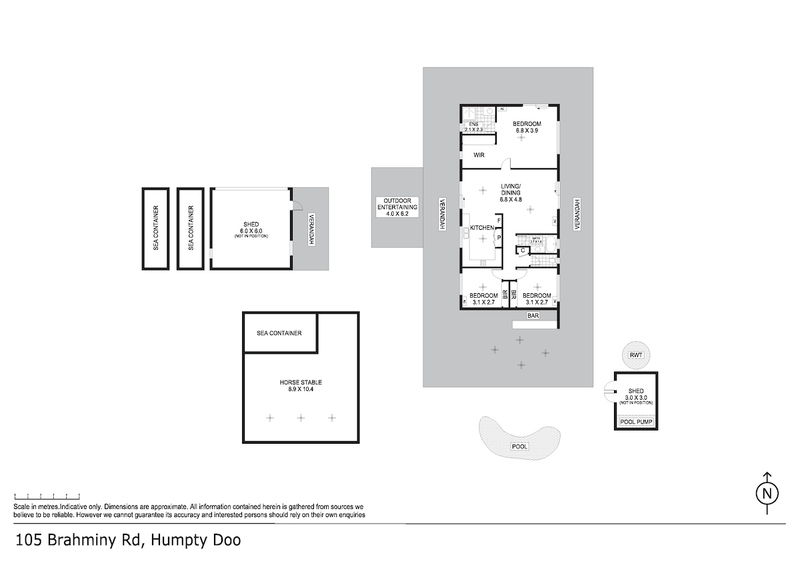 Inside is a large open plan living, dining and kitchen area that sit centrally to the home and each has sliding doors through to the verandahs and outdoor living spaces. The home is completely tiled with A/C throughout, the main bathroom includes a bath tub and separate toilet along with a hallway linen closet. The home boasts 3 large bedrooms, 2 include a built in robe, all have A/C and louvered windows while the master bedroom also includes a generous walk in robe, sliding door to verandah and ensuite bathroom. 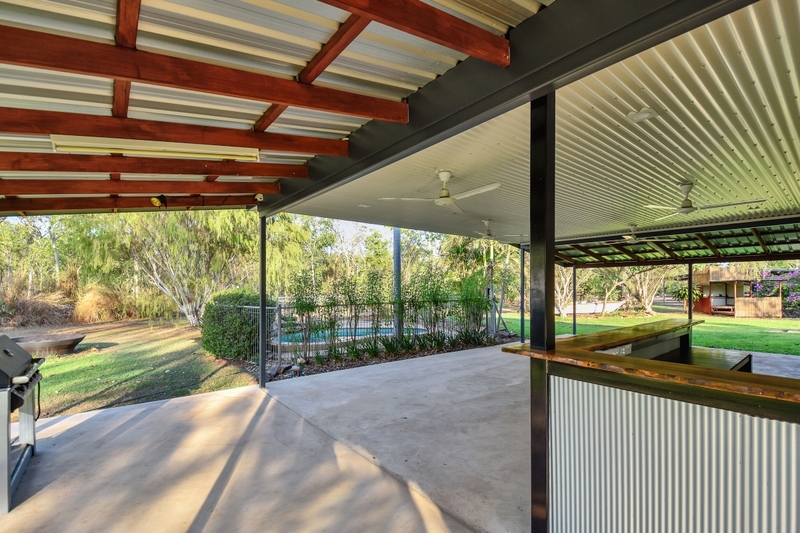 Outside this home continues on it’s impressive scale with an enormous rear verandah that has a built in bar and overlooks the gorgeous in ground swimming pool and play cubby and boat for the kids. Rolling green lawns and easy care tropical gardens frame this outdoor space perfectly. 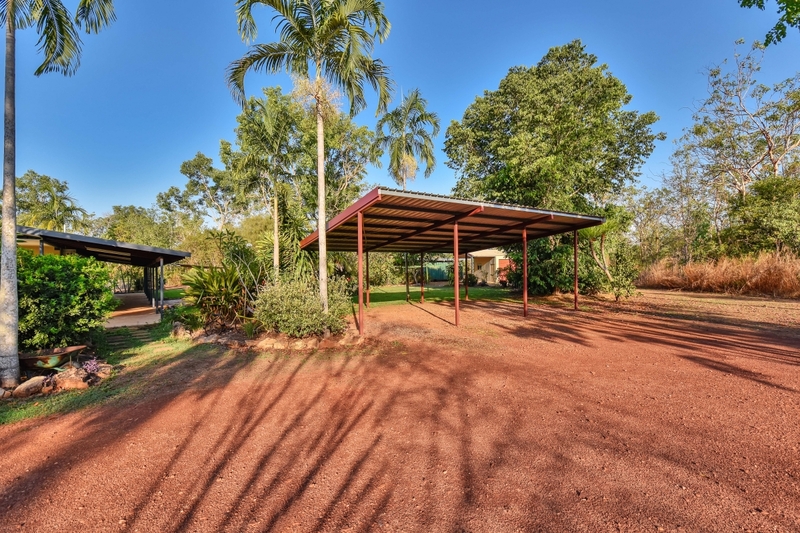 The property also includes a large powered shed with twin roller doors and PA entry plus a carport parking bay beside it. There is a large horse stable with roof and concreted bays along with tack room and sanded round yard. At the front of the home is a free standing carport with space for 3 cars. The home sits vacant and is move in ready – ideal for a Christmas dinner party with all the family!